Composers Anthony Davis and Earl Howard reconvene a bi-coastal quartet built on long-standing associations, to present two sets of music built on complex rhythms and modulating textures. 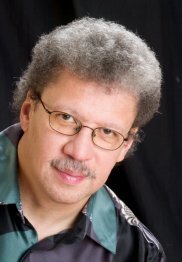 The evening will feature solos, duets, and quartets from Earl Howard and Anthony Davis, including Anthony Davis’s The Goddess Variations for solo piano; and Earl Howard’s work Curtis, for solo Kurzweill 2600 and saxophone. The Choir of Trinity Wall Street returns to The Met with a double bill: Dixit Dominus (The Lord Said), Handel’s setting of Psalm 110, is paired with David Lang’s The Little Match Girl Passion, a contemporary choral work based on the Hans Christian Andersen fairy tale. This concert features pianists Sam Yulsman and Mara Rosenbloom.